University of California Press, 9780520255098, 115pp. Philip L. Fradkin, one of California's most acclaimed environmental historians, felt drawn to the coast as soon as he arrived in California in 1960. 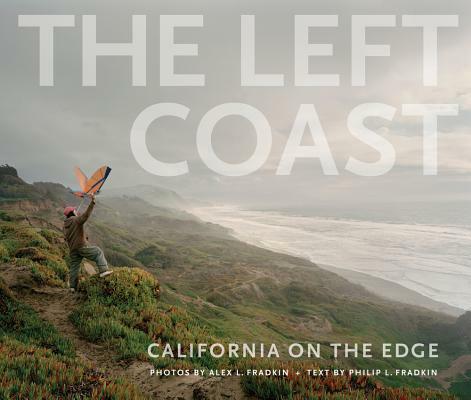 His first book, California: The Golden Coast, captured the wonder of the shoreline's natural beauty along with the controversies it engendered. In The Left Coast, the author and his photographer son Alex Fradkin revisit some of the same places they explored together in the early 1970s. From their written and visual approaches, this father-son team brings a unique generational perspective to the subject. Mixing history, geography, interviews, personal experiences, and photographs, they find a wealth of stories and memorable sights in the multiplicity of landscapes, defined by them as the Wild, Agricultural, Residential, Tourist, Recreational, Industrial, Military, and Political coasts. Alex Fradkin's expressive photographs add a layer of meaning, enriching the subject with their distinctive eloquence while bringing a visual dimension to his father's words. In this way, the book becomes the story of a close relationship within a probing study of a varied and contested coastline. Philip L. Fradkin is the author of eleven books, including A River No More, The Seven States of California, Magnitude 8, Wildest Alaska, The Great Earthquake and Firestorms of 1906, and Wallace Stegner and the American West, all available from UC Press. Alex Fradkin is a fine art photographer whose work has been widely exhibited and is held in the collections of the Art Institute of Chicago, Museum of Contemporary Photography, and the Portland Art Museum. His work also appears regularly in print and online publications around the world.